The Boxer lab mix or the Boxador has gained popularity as being one of the best family dogs because of their purebred parents, the Labrador Retriever and the Boxer, who are popularly known for their affection and athletic prowess. This hybrid mixes the best of both characteristics of these two purebreds, and normally are smart, intelligent, energetic, playful and kind-hearted to both their owners and children. While the exact traits of your dog is dependent on the dominant parental gene, it is essential to understand the features of both the Boxer and the Labrador Retriever, to know what to expect. The Labrador Retriever is a very popular and well loved family dog in many parts of the world. This is largely due to their affectionate and doting demeanour, which makes them ideal characters to add to many families and households. They are also known to be very energetic and social, and makes friends easily with strangers and other pets. These traits normally win over any owner, and are normally inherited by their Boxadors. The Boxer on the other hand was historically a very high energy pup, and was bred in Germany as a product of the Bullenbeisser and the English Bulldog. They are normally athletic, agile, energetic and playful, and require lots of physical activity and exercise to remain healthy and happy. Because of their high energy levels, many tend to shy away from adopting them, but they are missing out on an intelligent and fun companion. 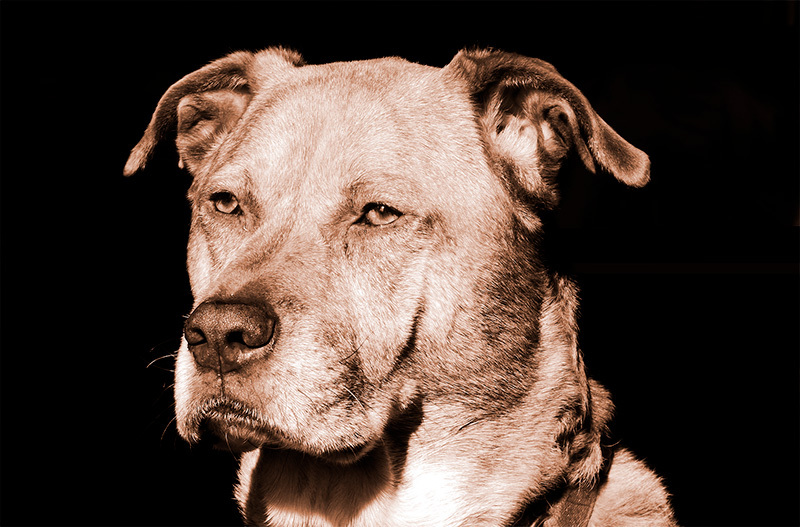 They do pass down some of these traits to the Boxador, but characteristics will vary based on the dominant parental gene. Combining one of the most loved and family oriented dogs, the Labrador Retriever, and one of the most athletic, energetic and intelligent dogs, the Boxer, produces one of the best companions any family could ever ask for. 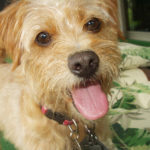 Boxadors are lauded for their loving personality, and intelligence, and have quickly worked their way into becoming one of the most loved dogs in the world. Here are some features of the Boxer lab mix that you need to know before adopting. Boxadors are naturally highly intelligent, soft-hearted and very playful dogs, but they can become protective of their owners. Your Boxador may be sociable or reserved when it comes to strangers and other pets, based on genetics, but with proper socialisation, they become more accommodating to persons from the outside. They can be used as guard dogs and are sure to watch over both their owners and small children if necessary. Boxadors are naturally working dogs, and love to be given mentally challenging activities to complete. Despite their large size, they will cuddle or lay with you, and act as lap dogs whenever they want your affection. They require human attention, and tend to suffer from separation anxiety if left alone by their owners for extended periods of time. Overall, Boxadors are known to be brilliant, high spirited and ideal dogs for many families and households. Boxadors are fairly large dogs when fully grown, and vary in height and weight based on their gender. All Boxadors normally stand between 22 – 26 inches tall, but male Boxadors tend to weigh more than females. On average, males weigh 75 – 110 pounds, while females weigh 50 – 70 pounds. 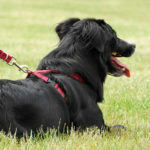 Their high physical activity however normally keeps them from becoming obese like a lot of other dogs. Boxadors are also recognized for their head, which is normally bigger in proportion to the Labrador Retriever’s. Most heads are almost perfectly proportioned in skull to muzzle ratio, resulting in a reduction of the risk for many respiratory diseases. They stand out in any pack with their glossy short haired coat, and range in colours from black, brown, brindle and even some rare occurrences of white. They may also be parti coloured, displaying different mixtures of these four colours. Boxadors stand tall and confident, and appear naturally intimidating to strangers and many other pets. They generally require low to minimal grooming and maintenance, but they are seasonal shedders, so ensure to brush their coat twice a week to prevent a buildup of excess hair. They should be bathed as needed, and have their nails clipped consistently. Ensure you pay attention to their dental hygiene, brushing their teeth daily to prevent dental health issues. When it comes to feeding, try not to overfeed your dog, but instead pay attention to their daily proportions and use that measurement to feed them. This is essential because many Boxadors will overeat, resulting in a less active, less playful pup. It is essential that training begins when your dog is a puppy, as older dogs will be much harder to learn and adjust to circumstances. Boxador pups are normally very obedient and eager to please, and this makes training them quite a simple task. Training should never include harsh words and shouting, but instead, use a reward based approach. This way your puppy understands that certain things give good merit and others do not. With early socialisation and exposure to many other animals and humans, your Boxador will quickly shed its tough skin and become more affectionate and loving to those he encounters. Boxadors can also be housetrained, and can go through obedience training which teaches them to obey your commands. Overall, the Boxer lab mix will be very easy to train when he is a puppy, but the older he gets, the harder it is to teach him new things. Boxadors generally tend to live a relatively healthy life, having an average lifespan between 7 – 18 years. They are prone however to some congenital defects which may cause issues if not identified early on, and these can significantly reduce their lifespan in severe cases. These defects include allergic reactions, eye defects and hip or elbow dysplasia. Allergic reactions can be caused by grains, and they normally have symptoms including loose stool and skin irritations. This can be treated with medication from a veterinarian. More serious issues such as eye defects and elbow/hip dysplasia abre normally inherited, and can easily be treated and identified by regular trips to the veterinarian. A Boxer lab mix is the perfect addition to every family, and their playful demeanor with their loving personality makes them ideal for every home. This dog is truly a match made in heaven. Golden Retriever vs Labrador - Which Breed Should I Choose? 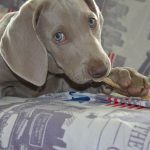 Puppy Teething – Products That Can Save Your Furniture And Clothing!